The Top of the Hay, at The Hay Adams Hotel was the perfect backdrop for this couple to host their timeless black tie affair! 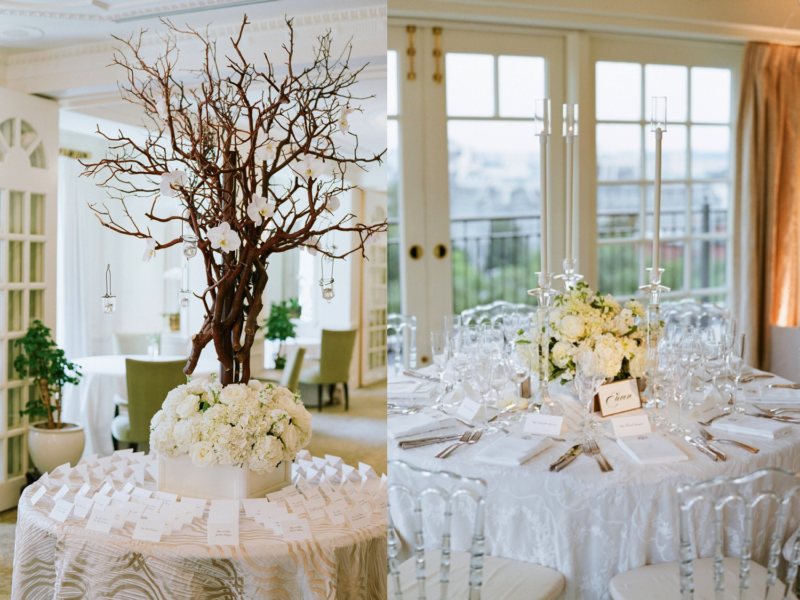 With its French doors leading to the wrap-around balcony with a commanding view of The White House, iconic Monuments, and the Potomac River, they knew it was the perfect spot for their reception. 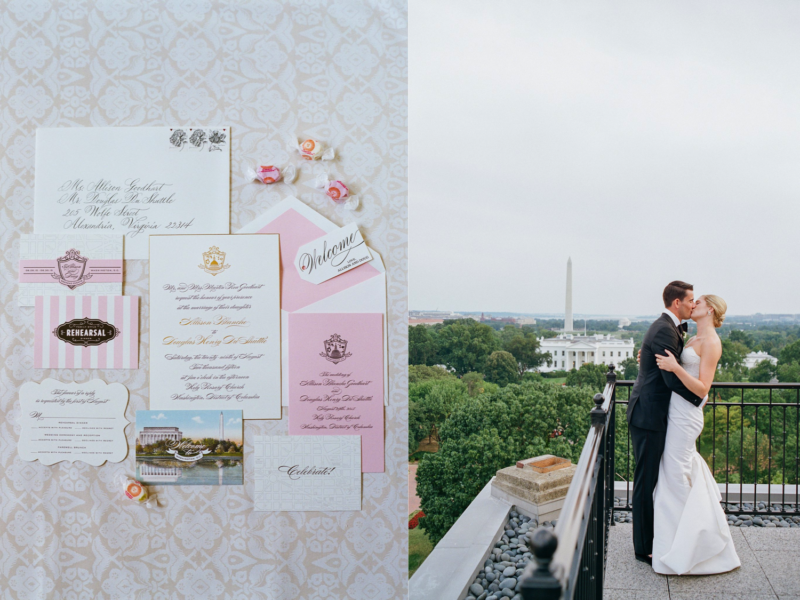 With a beautiful custom save the date that told a bit of their story from the Beach to D.C. from Cheree Berry Paper they were able to add some personal and unexpected details to their classic and traditional wedding. 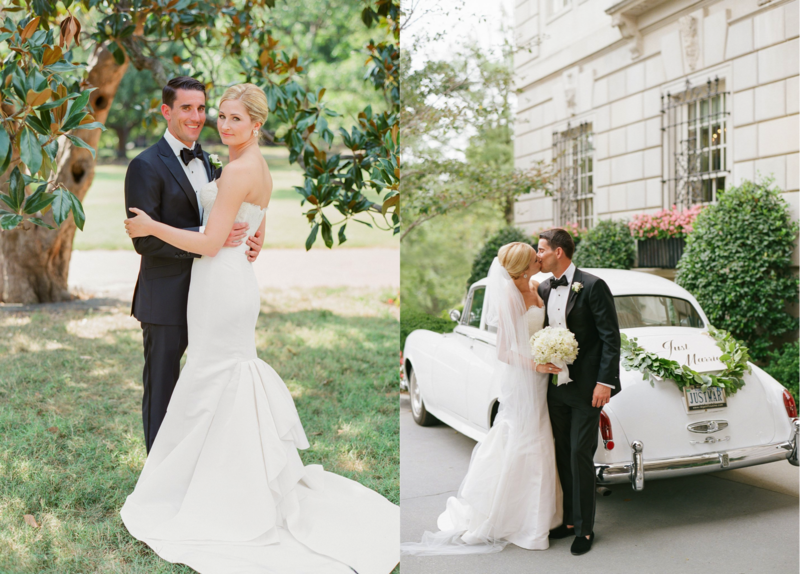 Congratulations Mr. and Mrs. DuShuttle on your first anniversary! We wish you a lifetime of Love, Laughter and Happiness! 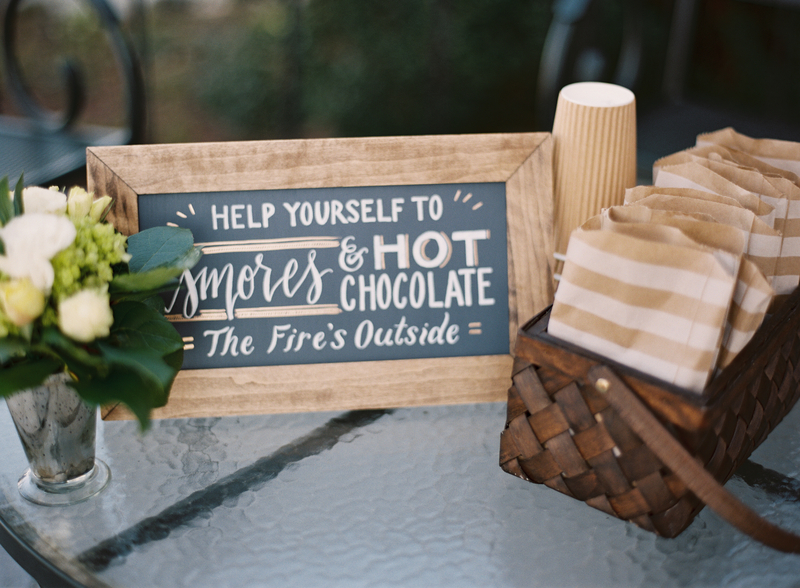 May I have S’mores please? Did you know that today (August 10th) is National S’mores Day! We have a particular fondness for this campfire classic and if you haven’t had one this Summer then today is the day. What’s not to love? A campfire, chocolate, graham crackers and roasted marshmallows! We were so lucky to have such a wonderful intern spend her summer with us! So, before she leaves and heads back to school we thought it would be fun to see what some of her favorite moments were while she was at A. Dominick Events. 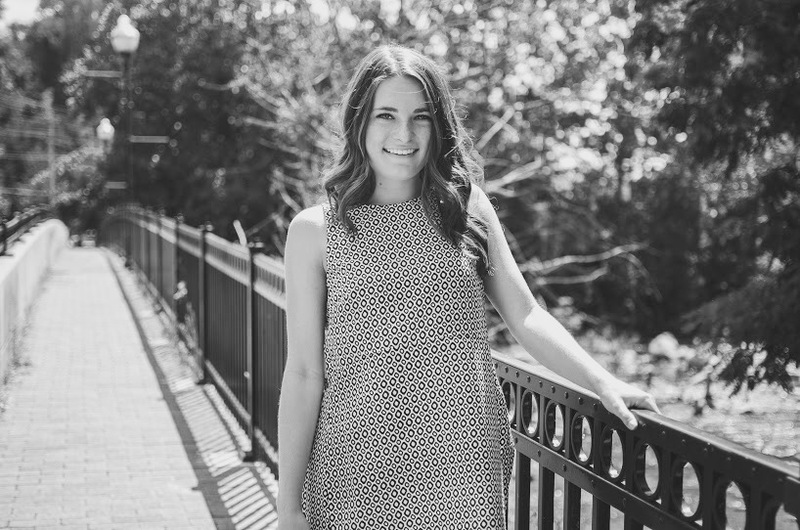 Where are you at school: I will be a senior at The University of Delaware this fall! Did you always want to be in the events industry: I honestly had no idea what I wanted to do in high school or even during my first year of college for that matter. My sophomore year of college, I was elected to my sorority’s executive board as the Vice President of Public Relations, which is what first sparked my interest in events. Through this position I had the responsibility of planning and executing various chapter events, and I realized that it didn’t feel like a job to me. I thoroughly enjoyed every step of the planning process, as well as being able to combine creativity with organizational skills. This experience really helped me discover that I wanted to pursue a career in this industry. 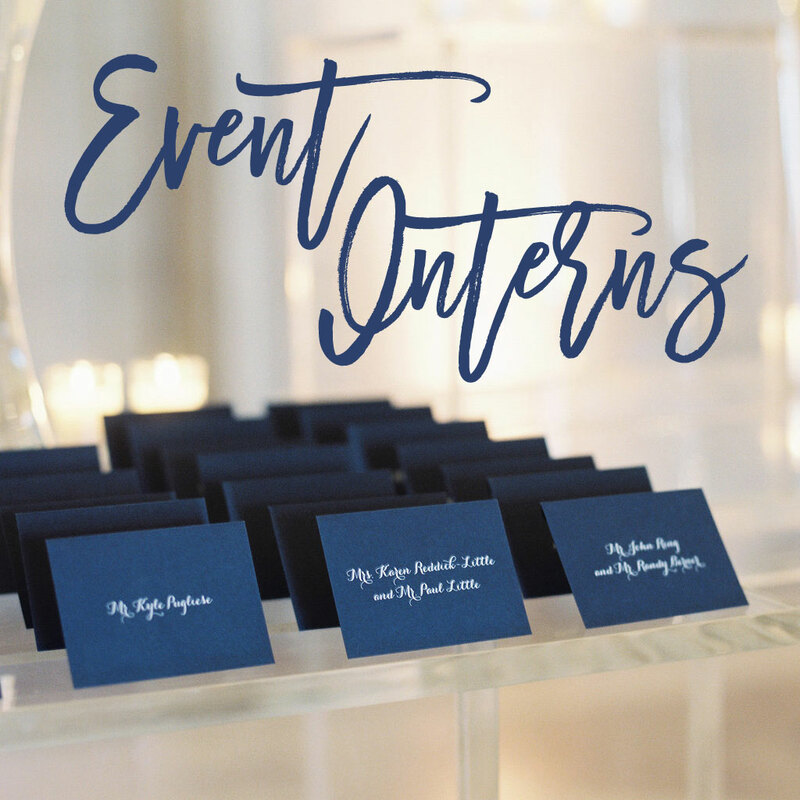 What has been your favorite part of your internship: I absolutely love that event planning isn’t monotonous. Each day is different, and every event is different, which adds an exciting aspect to the job that really sets it apart from other careers. What was your favorite moment during your internship: My favorite highlight was definitely attending my first wedding at the Newseum. 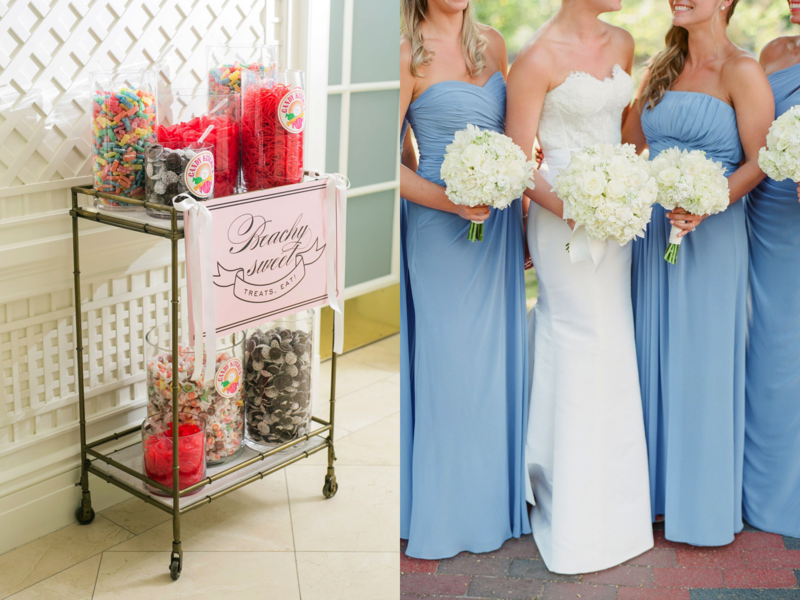 Being able to work on-site and witness each specific detail come together for the big day really emphasized the rewarding aspect of event planning. The fast pace of the day-of operations really showed how crucial an event planner is in making the day run as smoothly as possible. 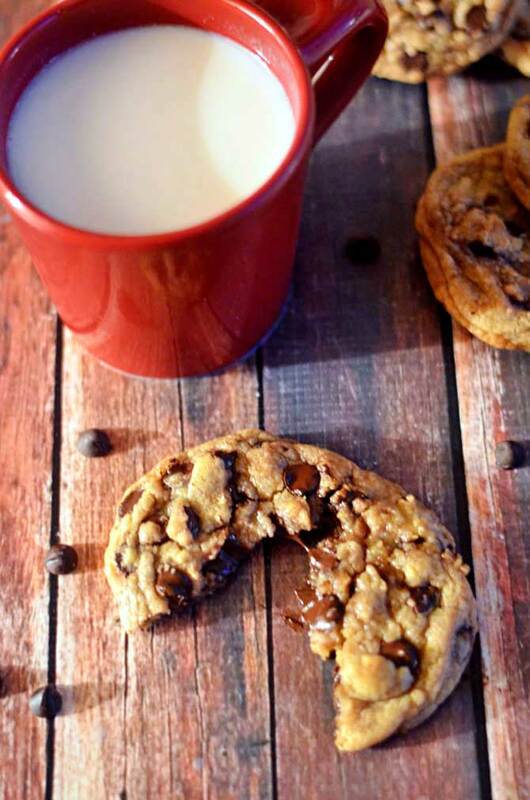 Did you know that today (August 4th) is National Chocolate chip cookie day?! Not that we need an excuse to want to have a cookie but when there is a holiday about them how can we resit? Here are some fun facts about Chocolate chip cookies…. The first chocolate chip cookie was the size of a quarter. It was super crispy and could be devoured in just one bite. The creator of the cookie was paid for her recipe with a lifetime supply of chocolate from Nestlé. After acquiring Wakefield’s recipe, the company invented the now ubiquitous teardrop-shaped chocolate chip in 1939. 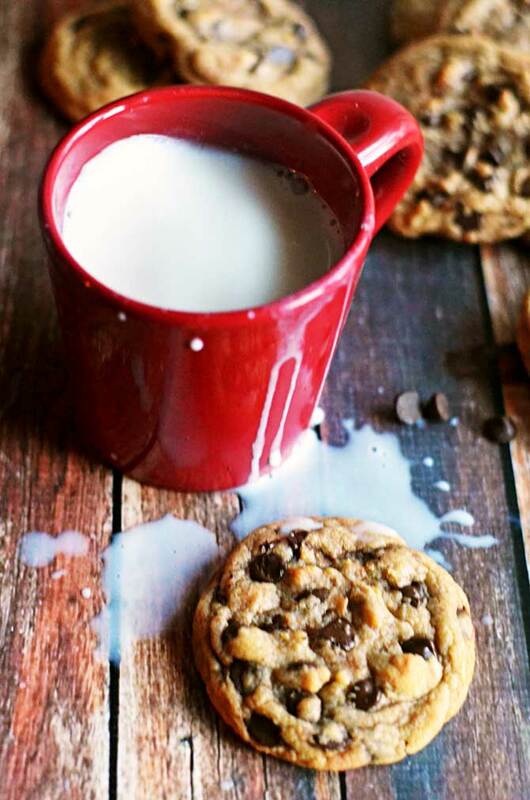 In case you now want a cookie or two below is one of Aimee’s favorite recipes for the perfect chevy chocolate chip cookie courtesy of Alton Brown YUM! Melt the butter in a 2-quart saucepan over low heat. Set aside to cool slightly. Sift together the flour, salt and baking soda onto a paper plate. Pour the butter into your stand mixer’s work bowl. Add the sugar and brown sugar and beat with the paddle attachment on medium speed for 2 minutes. Meanwhile, whisk together the whole egg, the egg yolk, milk and vanilla extract in a measuring cup. Reduce the mixer speed and slowly add the egg mixture. Mix until thoroughly combined, about 30 seconds. Using the paper plate as a slide, gradually integrate the dry ingredients, stopping a couple of times to scrape down the sides of the bowl. Once the flour is worked in, drop the speed to “stir” and add the chocolate chips. Chill the dough for 1 hour. Preheat the oven to 375 degrees F and place racks in the top third and bottom third of the oven. Scoop the dough into 1 1/2-ounce portions onto parchment-lined half sheet pans, 6 cookies per sheet. Bake 2 sheets at a time for 15 minutes, rotating the pans halfway through. Remove from the oven, slide the parchment with the cookies onto a cooling rack and wait at least 5 minutes before devouring.The darker the sugar you use, the chewier your cookies will be. The office internship program runs from late-August to late-December and you are expected to work 15 hours a week in the A. Dominick Events office.